Today I am excited to feature a few of the Nail polishes as well as the Jumbo lip crayon in the shade Rosewood. This season’s well-curated collection will compliment any look with the soft pastels and dramatic purple nail polish shade. They make for smooth easy application and have great staying power. The shades are opaque, streak free and fast drying. Priced at $4.00 you can’t go wrong with getting a few bottles for your at home manicure. 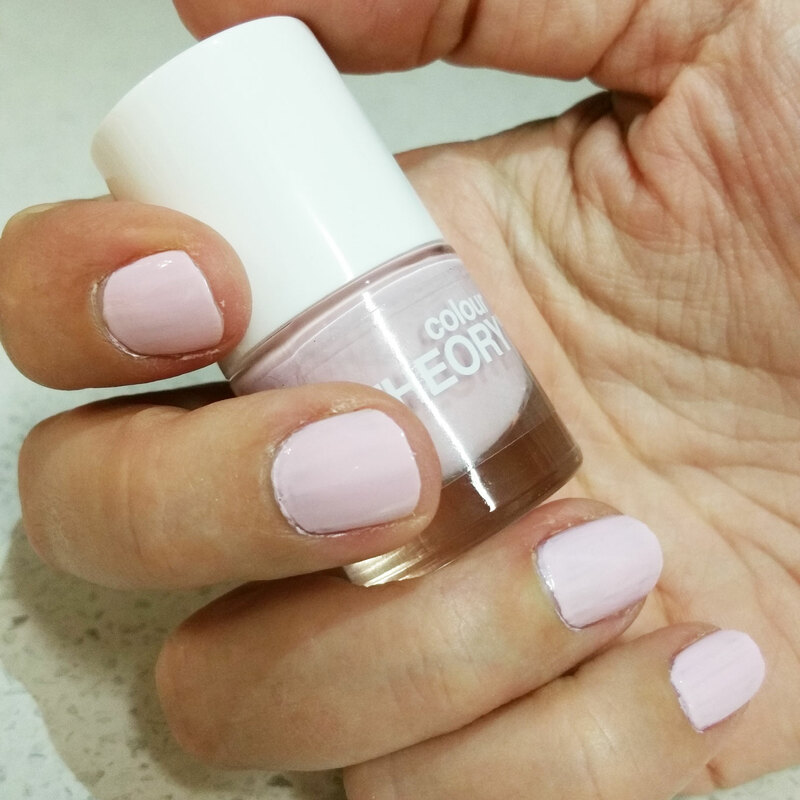 I removed my nail polish using the Acetone free Beauty Theory Nail Polish Remover pot which has an inbuilt sponge soaked in nail polish remover that saved so much time by simply requiring me to dip my nails a few times. This pot of acetone free gold is very convenient and mess free. 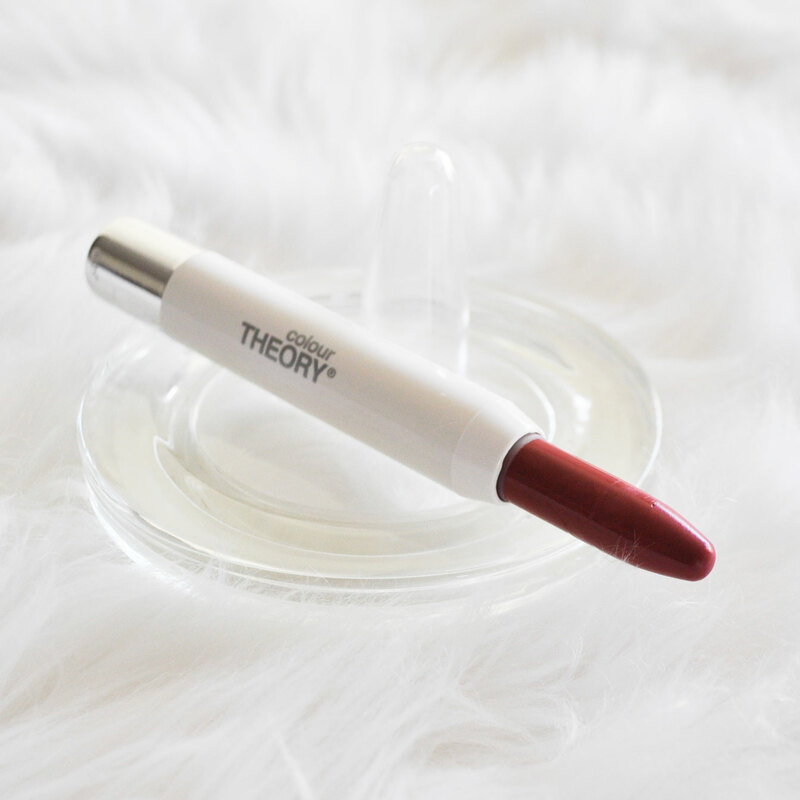 This is my new favorite on the go lip product. It comes in a convenient retractable stick which glides on smooth and leaves my lips hydrated with a subtle shine. It is a pretty rose colour that I think would suit any skin tone and the formula is pigmented with full coverage. I love this unique collection and with prices as low as $4 and nothing over $10 there is something there for everybody. 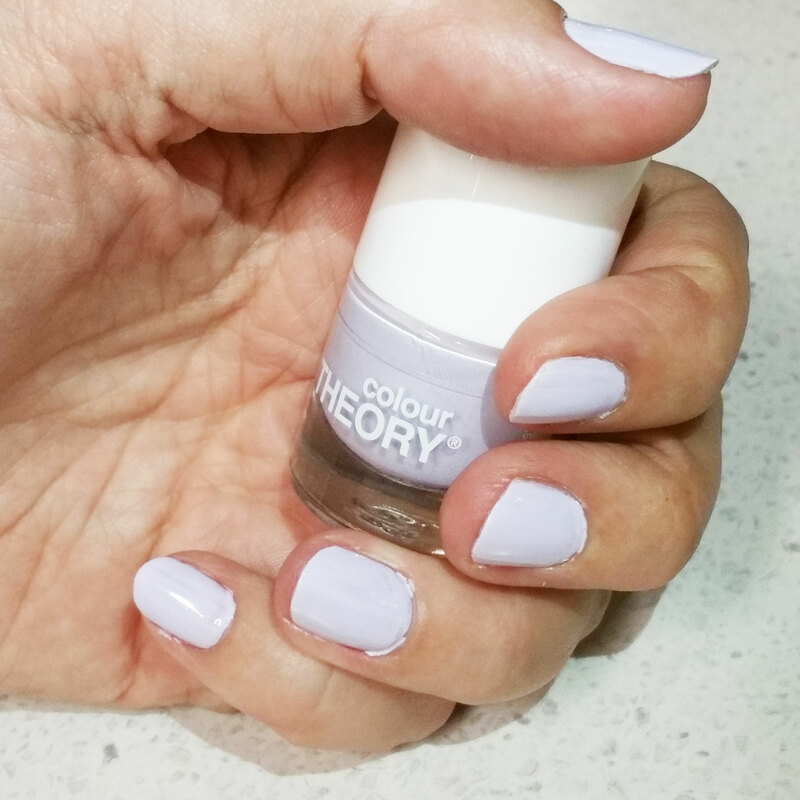 Colour Theory, Beauty Theory & Skin Theory are available exclusively at your local Amcal, Amcal Max & Guardian Pharmacies across Australia. The nail polish colors are simply gorgeous!! 🙂 Great post and pics! I must try the nail polish remover ? ? Hi, I’m nominating you for the Liebster award! If you’ve already done it, don’t worry! But if you haven’t, go to my blog post about it & read about what you need to do! That lippie looks great on you!